Eating. Humans have done it since, well, the beginning of history. And pretty much ever since the first caveman realized he was too tired to grill a wooly mammoth after a long day of hunting, other cavemen were willing to do it for him. For a price, of course. 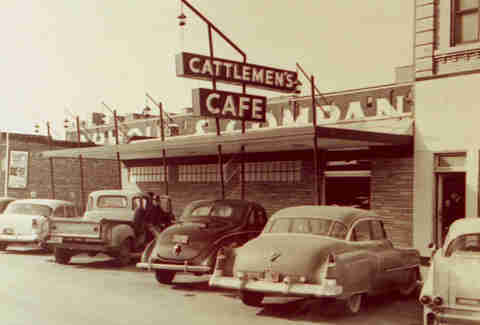 While the US doesn't quite date back to the caveman, it's still got plenty of old restaurants. 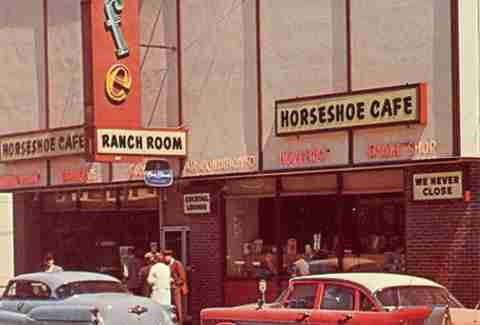 And, much like we tracked down the oldest bar in every state, we've once again culled restaurant associations, historical societies, tourism boards, and business licensing departments nationwide in search of the oldest continuously operating eateries in America. Here's the oldest in each state, and Washington, DC. Though usually the definition of “Greek Cuisine” is something served up by a cook at the Sig Ep House in Tuscaloosa, the oldest restaurant in Alabama is this Bessemer Greek joint that’s been owned by the Koikos family since 1925 and serves up specialties like Greek-style tenderloin and snapper in the massive four-room space that started as a simple counter in 1907. 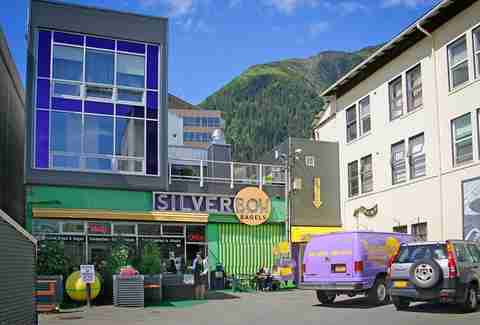 To give them a taste of their own medicine, Alaskans should make it a point any time they’re in New York to visit a bagel shop, take a bite, make a face and say, “It’s good, but not like it is at SIlverbow. It’s...just…it’s in the WATER, you know?” Because Alaska’s oldest restaurant is also its top bagel bakery, boiling and baking them for more than 50 years at a bakery that’s been operating since almost 70 years before Alaska was a state. 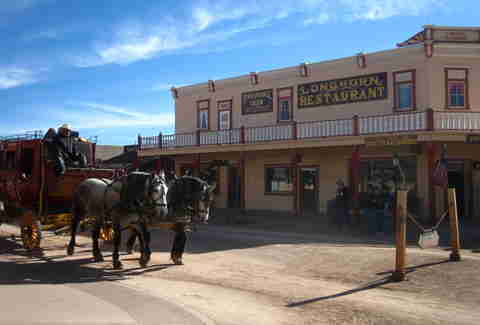 In what might be the best Halloween restaurant ever, this historic Tombstone eatery now serves up a varied menu of steaks, potatoes, burgers, and bar food as well as Mexican standards in a building once known as The Bucket of Blood Saloon. Which is creepy enough, until you realize Virgil Earp – kind of the Frank Stallone of his era -- was shot on the second floor. Aside from missing out on a golden marketing opportunity during the “Mork and Mindy” craze of the 1980s, this store – also the oldest store in Arkansas – has done everything right in its almost 125 years. 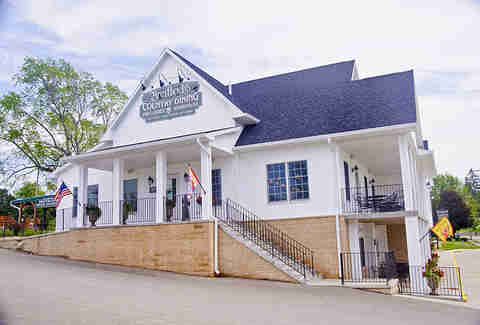 The small wood house dished up Southern comfort food in a tiny town surrounded by the Ozarks National Forest, but has managed to land itself on the National Register of Historic Places, making it worth a stop, even if just for the scenery. What began as a coffee stand at the end of the pier run by a few Croatian immigrants during the Gold Rush has become a San Francisco establishment, where waiting times are as much a part of the experience as fresh seafood and loud noise. But even fires and earthquakes couldn’t close this place down, as it's been running for 165 years and can rightfully display the gold letters over its door that claim it's California’s oldest restaurant. If only cash advance stores and pawn shops were as forward-thinking as Buckhorn founder Henry H. Zeist, who used to give out free beers to railroad workers who exchanged their paychecks for gold at the Rio Grande Railroad Yards across the street. 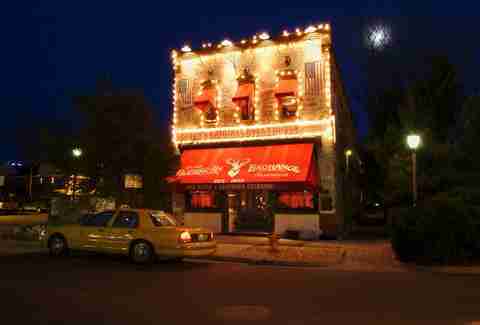 Now the restaurant – which holds Colorado liquor license no. 1 – pretty much only exchanges money for food and drinks, but still makes up buffalo steaks, elk, and quail for an authentic rocky mountain dining experience. Eating in a restaurant as old as America is probably attraction enough to make it to Essex on the banks of the Connecticut river. 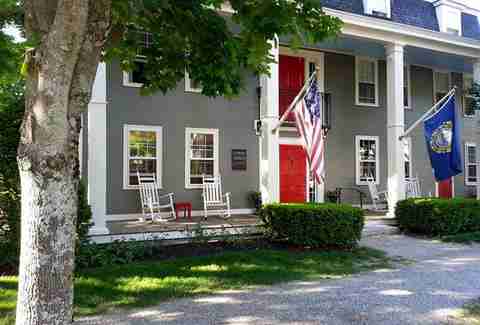 But this inn – one of the oldest continuously operating in the country – also has art tours, a tap room, historic rooms and a weekly “hunt breakfast”, a brunch spread it’s been serving since 1812, that’ll put anything at a luxury hotel to shame. Though our Oldest Bars cover boy Jessop’s Tavern has been around a couple hundred years longer than this historic Wilmington spot, it wasn’t ever really a restaurant until the 1940s. 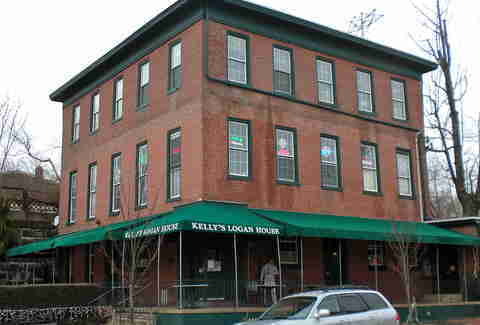 Which leaves this family-owned Irish pub and eatery in the historic Logan House hotel as the oldest, and is also the oldest continually operated bar by the same family in the US. 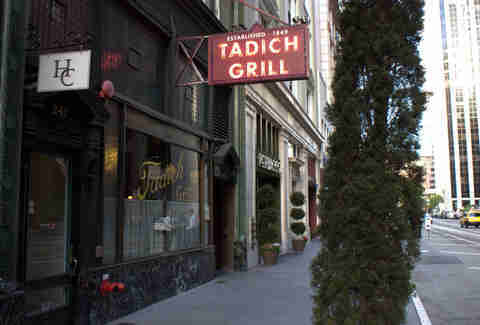 Much like the ever-transient DC population, the oldest restaurant in the District has moved around a lot. 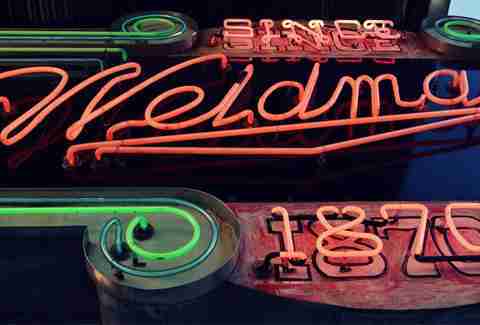 And while the original was established in 1856, this current incarnation has only been around since the 1920s. Which, at 94 years, makes it only slightly longer than the Redskins’ championship drought. Since pretty much nothing in Florida makes sense anyway, nobody should be surprised the oldest restaurant in the state serves Spanish food from Florida’s oldest Cuban community. Sure, why not? 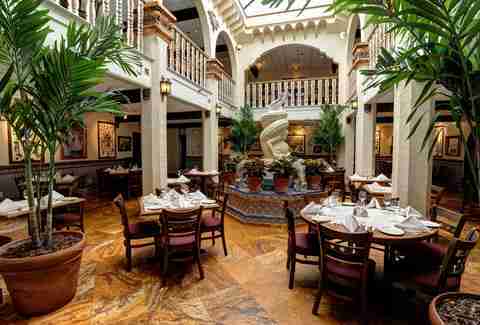 The restaurant has even expanded to six other locations, including Celebration and inside the Tampa airport. When your city only has a population of about 18,000, serving Greek, Italian and southern food in the same restaurant isn’t really that strange. So that’s what this homey spot in Thomasville - just north of the Florida border - has been doing for 98 years, along with playing host to weddings, receptions, and other local events. 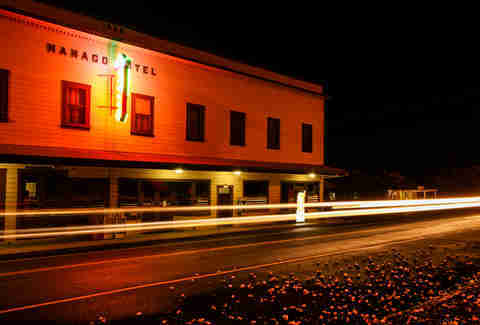 Though they’re not exactly a pig on a spit at a luau, if you want pork chops, there’s no better place on the big island than the restaurant at this almost-100-year-old hotel. And while the restaurant hasn’t always served up the slabs of pork, they’re the best bet on the menu at the spot that inherited Hawaii’s oldest restaurant title when legendary Wo Fat Chinese restaurant in Honolulu closed down several years ago. 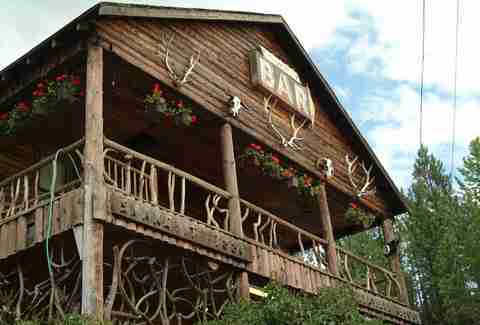 Though this old silver miners’ bar in the mountains of northern Idaho is the oldest restaurant in the state, it’s come close to shutting down more than once. 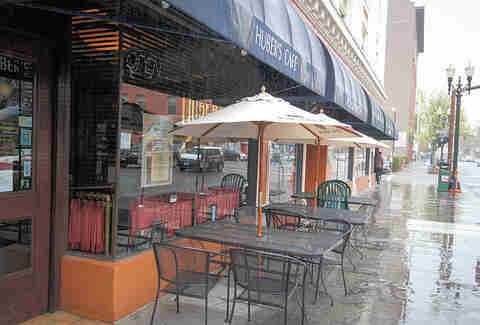 Its most recent brush with restaurant death was in 2012, when it stayed open one day a week just to keep its liquor license. Other close calls include a period in the '70s when the owner would take month-long vacations to Mexico every time the alcohol control officials cited her for selling illegal liquor and forced temporary closings. Since Chicagoans have associated eating with drinking since the city’s founding, it’s no surprise the oldest bar in Illinois is also the oldest restaurant. Just north of the city this Long Grove Tavern serves classic bar food as well as steaks, stews, and other stuff to keep you warm during the cold Illinois winter. Try your best, like, REALLY your best, to not have the song from “Ren and Stimpy” running through your head when you dine in Indiana’s oldest restaurant, and instead try to think about the history of the place as an old stop on a stagecoach route from Evanston to Vincennes. Or, you can just stop thinking so much and enjoy the family-style comfort food that even got Abe Lincoln to stop by for a bite. You know that saying, you can tell who really cares about you when times are tough? Well, apparently the ENTIRE MIDWEST cares about this place, as when a 2007 fire gutted the restaurant, people ran charter buses from throughout the region to help rebuild it. It’s currently in its sixth generation of family ownership, and also holds the distinction of being the Hawkeye State’s oldest bar. 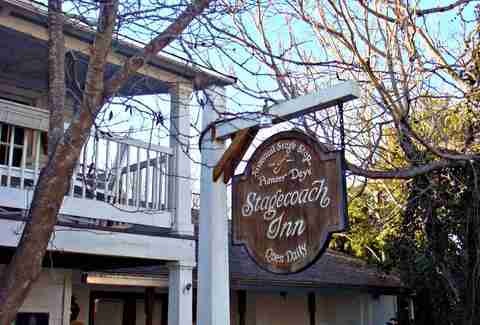 While we always tip our hat to the underdog, this tiny Kansas business that claims to be the oldest continuously operating restaurant west of the Mississippi seems a little predated by Tadich in San Francisco. Which, if you saw the results of the World Series, you’d know it’s not the first time San Francisco narrowly edged out Kansas (OK, so the Royals play in Missouri, but whatever, you get the point). Yes, this is also the world’s oldest bourbon bar. 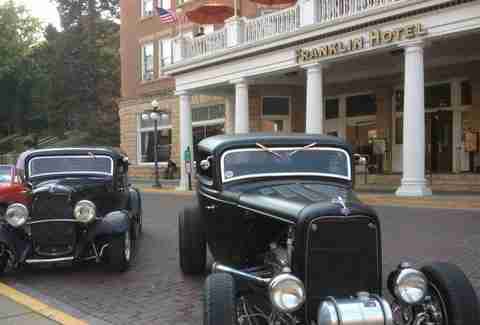 But don’t let the excitement over old booze lead you past the oldest restaurant in the Bluegrass state, serving up fried chicken, steaks, seafood and other American classics that, if nothing else, will make a good base for all that Kentucky whiskey. Even though the Big Easy is a city known for sin, it also boasts the only restaurant on this list to have hosted a sitting pope, when John Paul II visited. So perhaps all that sin is forgiven? 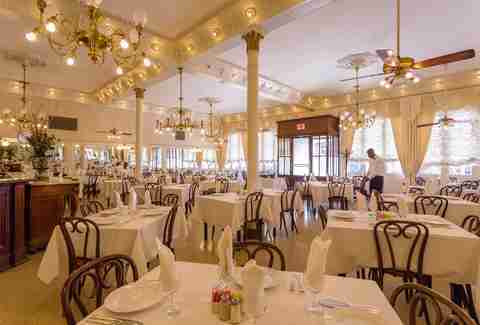 Antoine’s dates back to 1840, when an 18-year-old named Antoine Alciatore opened his own boarding house and restaurant, passing it down through generations and making the grand, fourteen-dining-room restaurant the oldest family-operated eatery in America. While the Cliff House in Ogunquit has been around since 1862, its restaurants have changed more times than the members of Menudo. 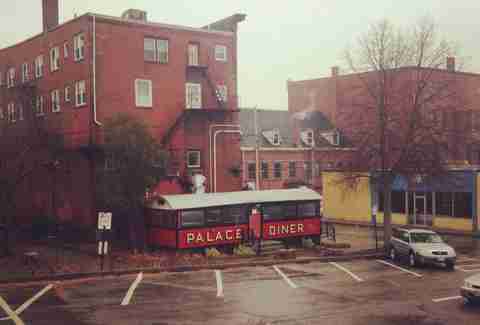 So the honor for oldest restaurant in Maine goes to this Biddeford diner that looks every part the northeastern neighborhood late-night eatery, serving up greasy deliciousness until 2am Wednesday through Sunday. 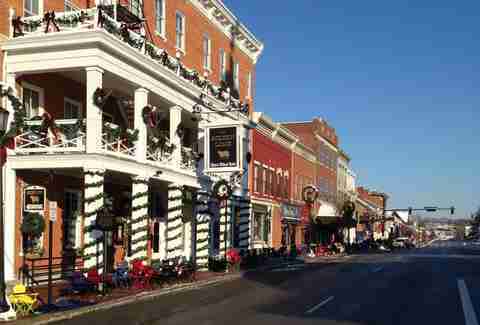 Maryland is chock-full of historic inns and taverns that at one time served food to guys preparing to fight in a war involving horses and heavy blue coats. All those places, however, at some point also closed, leaving the title to this Cumberland family-owned spot that’s in its fifth generation of ownership and still churns out a solid crab cake and an epic list of sandwiches. 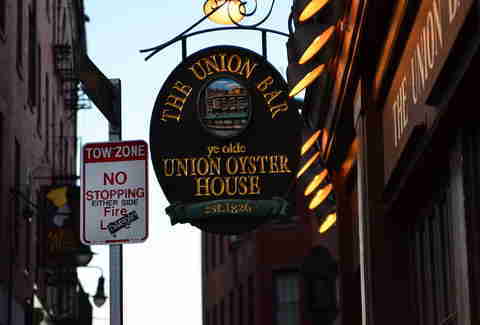 Though a recognized historic landmark for being the oldest restaurant in Boston and a staple of the city’s food scene since America was 50, Union Oyster House might be even more notable as the site of the only known toothpick endorsement deal in history, when Charles Foster paid Harvard guys to sit at the bar and look smart while using his crazy new invention from South America. Oh poor White Horse, that two-year hiatus you took from 2012 until January 2014 had you just missing your claim to the throne. 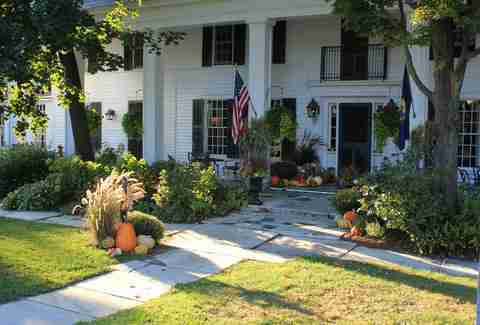 But since White Horse closed, the mantle has been taken bySleder’s, a Traverse City tavern built over three years in the 1880s by locals on their day off from wood planks from nearby pulp mills. 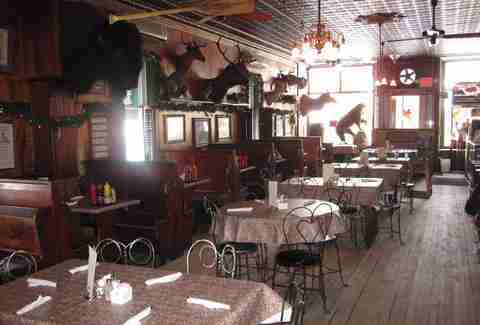 They stayed open during prohibition by serving bourbon and rye in teacups at no charge, and have a moose head on the wall that patrons are known to kiss for luck. The cold brick interior of this spot on Minneapolis’ oldest street (complete with cobblestone!) should be sign enough that you’re eating in a place only slightly removed from viking times. 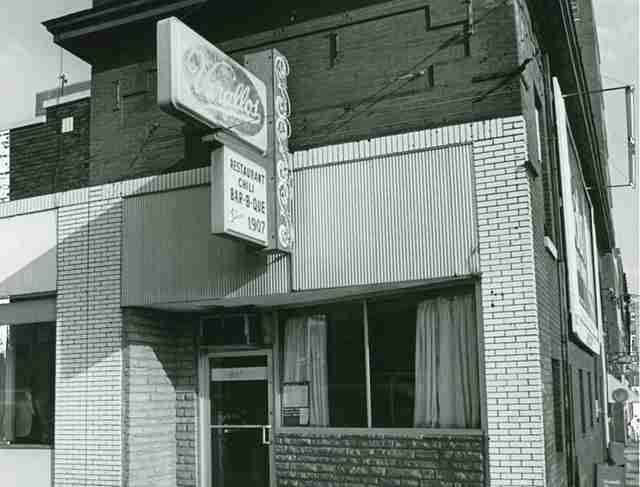 And while Gluek’s has been making beer longer, it’s only been serving food since 1934, and the Hubbell House didn’t open until 1946. Only in Mississippi (OK or other parts of the deep south) could you have the oldest restaurant in the state owned at different times by guys named Shorty and Poo. Funny names aside, this Meridian mainstay has been serving Southern cuisine since reconstruction, and every table in the place comes complete with crackers and a peanut butter crock, a tradition dating back to the 1940s. 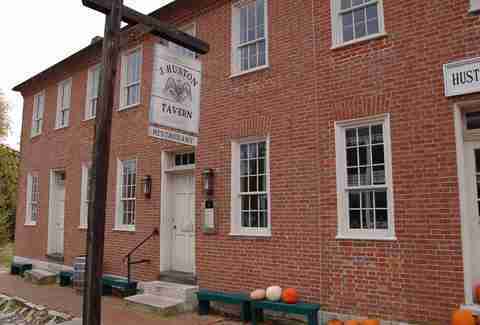 Though St. Louis and Kansas City have some great old eateries, according to The State Historical Society of Missouri, the oldest restaurant actually sits at the Arrow Rock State Historic Site, a once-popular stopping point for settlers heading West. 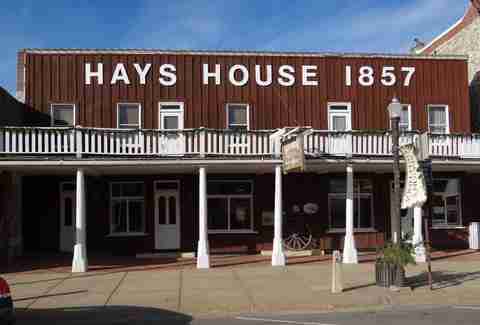 Originally the two-story home of the Huston family, this place has been serving meals to travelers for 180 years and was voted “Best Fried Chicken in the State” by none other than Rural Missouri magazine. 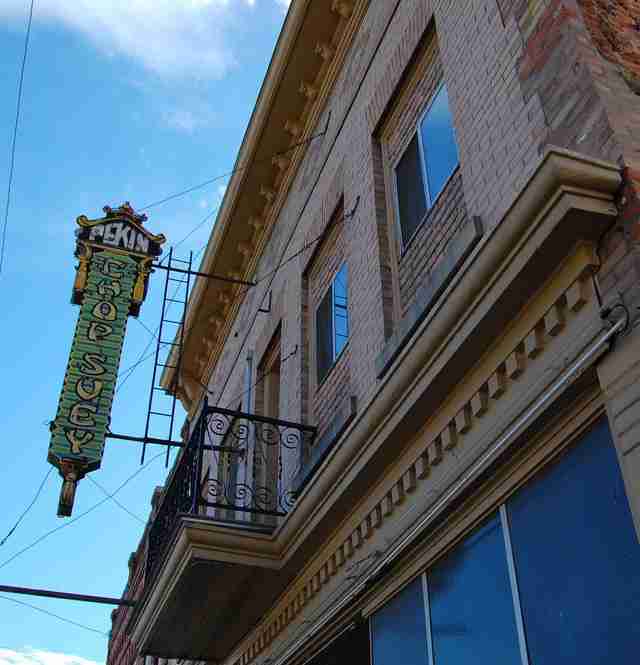 While you probably think of historic Chinese restaurants and Montana about as much as you do great intellectuals and Florida, turns out Butte was home to one of the largest Chinese populations in the West during the mining rush of the late 19th century. Pekin Noodle Bar in the city's Chinatown is one of the last relics of the era, and may very well be the only noodle house in America that’s 100% hipster-free. But probably not, ‘cause hipsters are (sigh) everywhere. 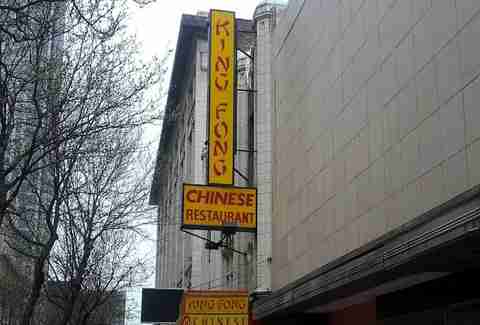 And while we’re on the topic of historic Chinese restaurants in places where you don’t expect a lot Chinese people, did somebody say Nebraska? Indeed, the state’s oldest eatery is also a Chinese joint, and one that’s served Cantonese cuisine in Omaha’s Chinatown since 1921. While the aesthetic is more dive bar than family-run Italian restaurant, you gotta remember that we’re talking about Northern Nevada; even the country clubs look like dive bars. 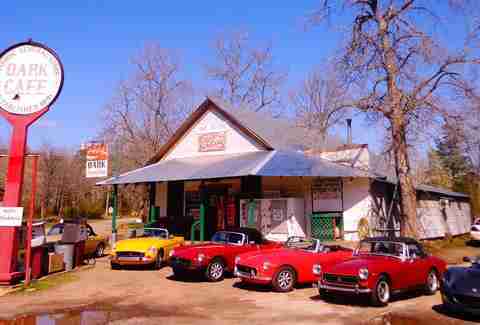 But when you enter this small wooden building with its classic red & white checkered tablecloths, expect a house tomato sauce that’s been voted best in the state and fresh pasta hand-made daily by 87-year-old Mama Inez herself. 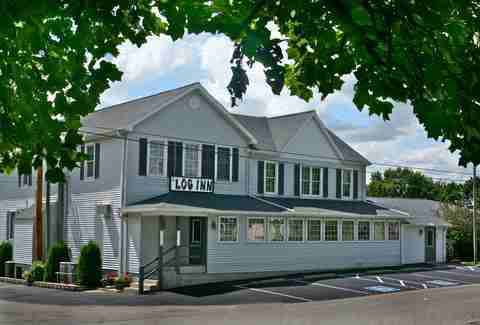 It really shouldn’t come as a surprise that the oldest bar and the oldest restaurant in New Hampshire are BOTH in the same bed and breakfast. And while the restaurant does serve a tasty Sunday brunch, you’re gonna want to stop by this Granite State eatery for the duck, steak, and other tasty New England fare. 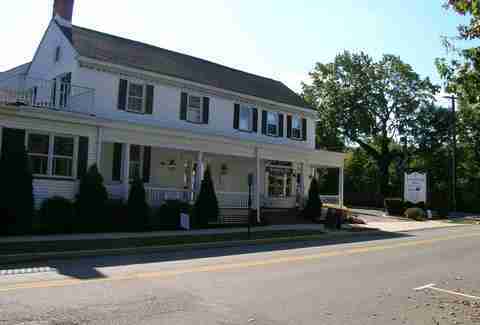 Although the history of the Cranbury Inn is a little muddled, it was originally a collection of taverns that joined to form one giant supertavern where 18th-century Jersey boys could go to fist pump while hoisting pints of grog. 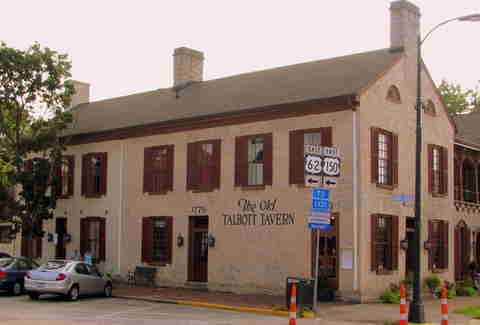 Today it’s a fine-dining establishment that houses multiple dining rooms and a bar built where the original tavern stood. Talk about being ahead of the times; this Santa Fe eatery was all like, “No, wait, shareable small plates are totally cool and fun” at least 175 years before the tapas craze took the American culinary scene by storm. 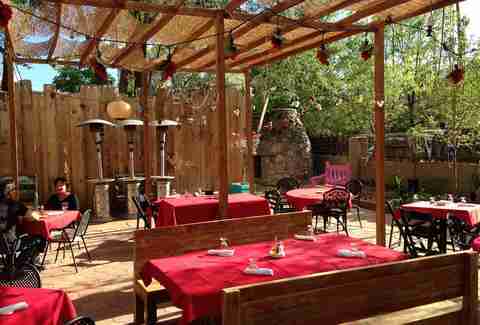 Slinging Spanish classics since 1835, El Farol still hosts nightly flamenco dancing under murals painted by local artists. 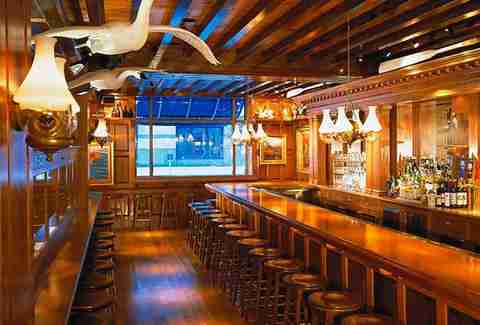 While some may claim that Fraunces Tavern in New York City is the Empire State’s oldest eatery, the Old 76 house has been serving food as long as it’s been open, which depending on what you read, could be anywhere from 1686 to 1754. Regardless of the exact year, this dining room with four fireplaces and a monumental Sunday brunch still dates back further than Fraunces (1762) and, thus, wins the title. 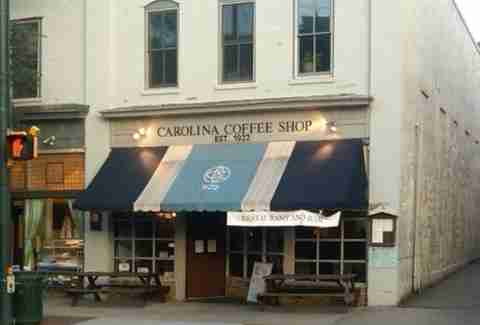 Decked out in Carolina blue like any self-respecting Chapel Hillian, this 92-year-old UNC institution might be the only spot on the list that doubles as a college bar by night. The menu goes well past the standard cookie and muffin fare, though, as this coffee shop serves up burgers, sandwiches, and even some authentic Carolina barbecue. When the Patterson Hotel opened in 1910 (as the McKenzie Hotel), it was considered the grandest in all of North Dakota; over the years it would host Calvin Coolidge, JFK, and Joe Louis, among others. 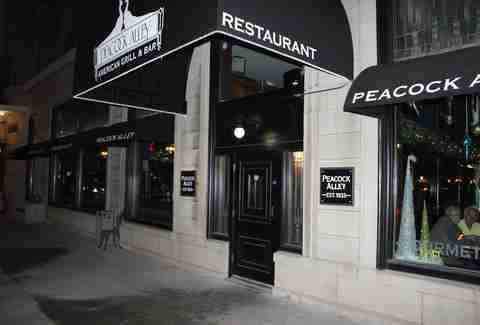 Peacock Alley opened in 1933 as the hotel bar and restaurant, according to the ND historical society. Despite shuttering for an extensive renovation during the 1970s (when the hotel became housing for seniors), PA remains a vastly more historic eatery than the two NEXT longest-running restaurants in the state (again, according to the HS) -- a seasonal Dairy Queen and a Bob’s Big Boy. In what was perhaps the greatest $4 investment ever that didn’t involve a racehorse, Jonas Seaman spent exactly that sum in 1803 to open the Golden Lamb. He gave it the name because it was easy to draw, and so few pioneers knew how to read at the time. Over 200 years later, GL’s the oldest business in Ohio and serves a locally sourced lineup that includes Amish free-range fried chicken and sauerkraut balls. You might wonder why the number 33 is branded throughout a restaurant established in 1910. No? Not at all curious? Well, we’re telling you anyway: it’s a reference to the hard six one-time owner Gene Wade rolled in a dice game to win the deed to Cattlemen’s, which he then expanded from small café to OKC’s landmark steakhouse located in the middle of trendy Stockyards City. You know you’re doing something right when you’re the oldest bar in the state and you’re famous for making sandwiches (!!). Behold the genius of Jim Huber, who bought what was then the Bureau Saloon in 1881, hired a chef, and started giving away free turkey sammies with every drink. Sadly, you have to pay for them today, but they’re still just as good and go well with Portland’s famous Spanish coffee. 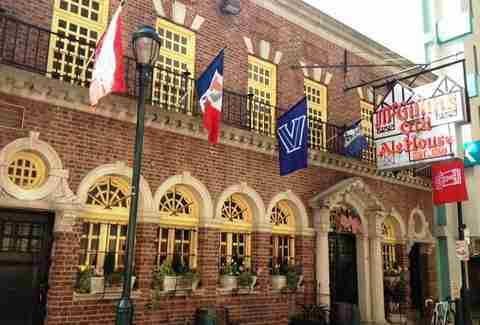 The oldest continuously operated Tavern in Philadelphia claims “the beer taps have been flowing since 1860”, though they make no mention of how often the lines have been cleaned. We’re assuming (hoping?) it’s been at a somewhat regular interval. 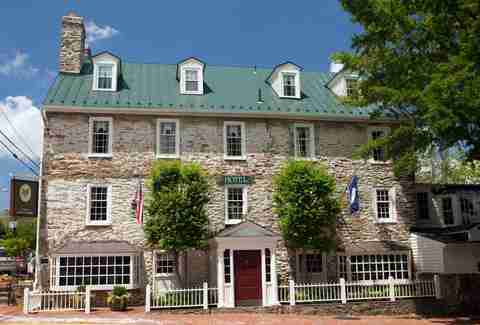 While several historic inns -- the William Penn and King George II, chief among them -- lay claim to being around longer, no evidence exists they’ve done more than “serve food to weary travelers” during that time. 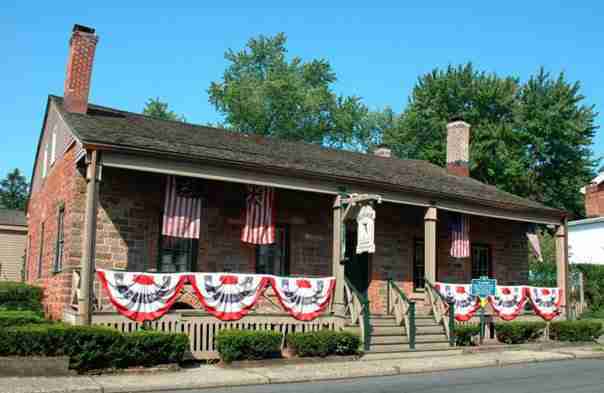 Which makes this Drury Street restaurant the oldest in Pennsylvania. 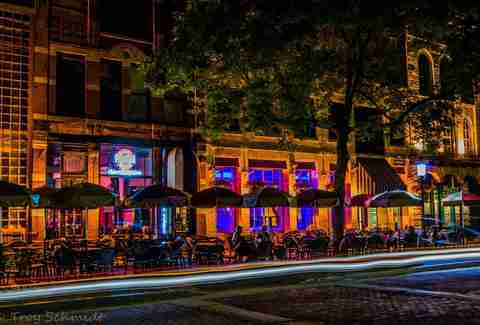 Yes, we know the White Horse is the oldest bar in America and a national landmark. And we know they serve food. But did YOU know they stopped serving in the early 20th century? 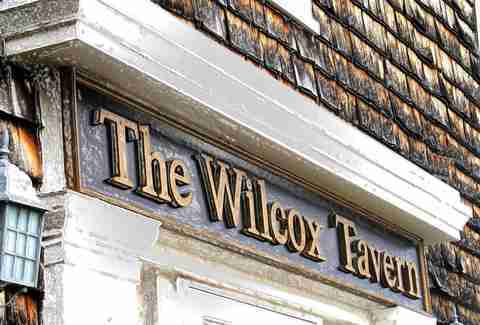 Which means the nod here goes to Wilcox; and even though it closes during the winter, WT’s been continuously serving Rhode Islanders a hearty lineup of seafood classics since 1850, all out of a building that dates back to 1730. The Civil War and Prohibition messed up a lot of things in the South, but chief among them was the uninterrupted operation of some of their finest drinking and dining establishments. Since the liquor control boards and historical societies have limited records, this World War II-era spot is the oldest restaurant that can confirm continuous operation in a state that dates back to 1788. 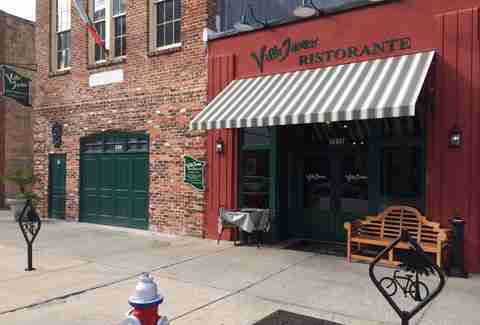 An Italian joint, it was originally opened by a family who wanted Italian-American soldiers training at Ft. Jackson to enjoy a little home cooking. If TMZ had been around in the first two decades of the 20th century, they’d have permanently stationed a photographer at the Franklin Hotel in Deadwood, inside of which this steakhouse has been grilling meat for 111 years. 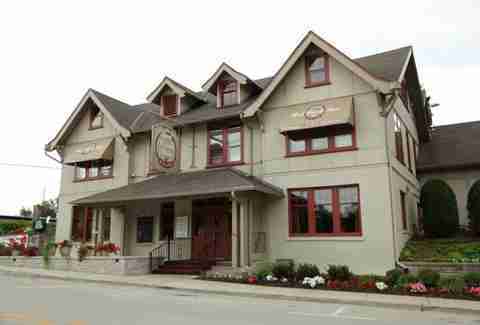 Diners at the time included the likes of Teddy Roosevelt, William McKinley, Babe Ruth, and Howard Taft. 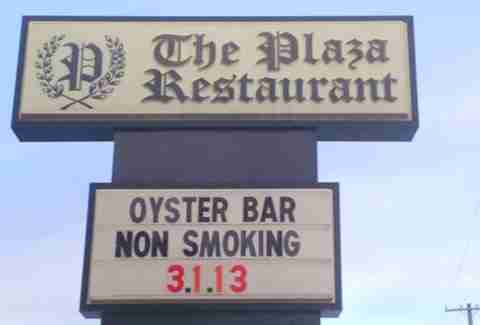 Sort of a Prime 112 of its era, except they probably sat you within an hour of your reservation time. Though traveling fiddle players are about as common in Nashville as bleached blonde hair, perhaps the most notable one not to enjoy a successful music career was Frank Varallo, who came to Tennessee from Italy in 1907 with a bean soup recipe that became a Nashville obsession. Known for his words of inspiration, each morning Frank Jr. typed a “thought of the day” at the bottom of every menu, birthing the phrase “thoughts from the bottom of a bowl of chili”. It would seem an impressive feat of memory that the servers at Texas' oldest restaurant can recite the entire menu off the top of their heads (the place doesn’t bother printing them) until you realize said entire menu is comprised of about six things -- and they’re all served with a vegetable, a potato, and a roll. 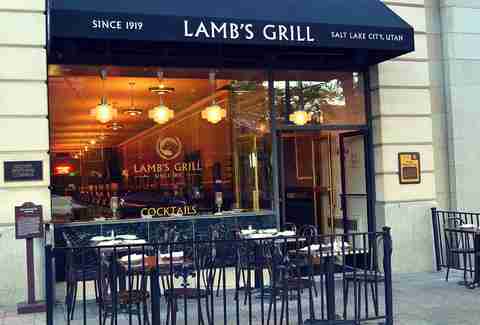 Realizing that there was absolutely nothing to do in Logan other than yell the “I believe” chant, Lamb’s founder George Lamb moved his landmark café to the bustling metropolis of Salt Lake City in 1939, where it's served everything from burgers, to tofu, to crispy chicken leg confit ever since. So yes: two cities, two locations, one old restaurant. While it sometimes feels like we’re only months away from the words “locally sourced” appearing on the menu at Arby’s, the term took on a whole new meaning when they opened this place in the late 18th century. Not only did the chef raise his own chickens/cows and grow his own veggies right outside the inn, but he bought milk from the farmer next door and grains from the market in town. And it all comes full circle. Please resist the temptation to stand up in the middle of dinner and start yelling, “This is the big one! 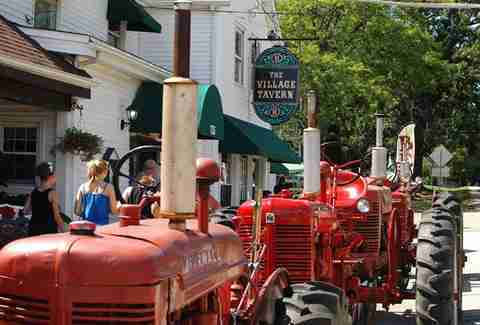 I’m coming to join ya, Elizabeth!” when you visit Virginia’s oldest inn and eatery. They’ve heard the joke before. 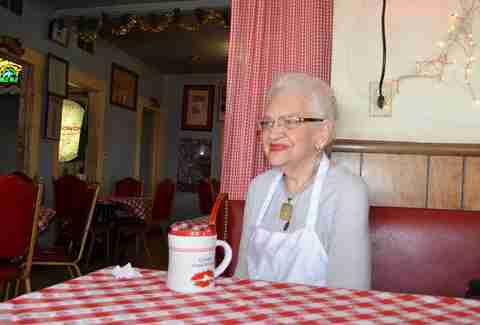 They also deserve more respect, as they serve some of state's best fried chicken and have been in business almost 300 years, proclaiming themselves America's oldest continuously running inn. 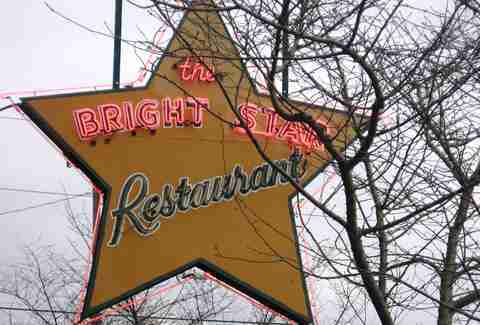 Not only is this the oldest restaurant in Washington state, it is, by all accounts, the oldest 24-hour restaurant in America, where folks have presumably been going with late-night munchies for over 125 years. Not sure exactly what people were doing in 1886 than necessitated getting a sandwich at 4am, but whatever it was, they got that sandwich here. Along with cigars. And, apparently, clothes. Even though West Virginia often gets razzed (do people still use that word?) for being a liiiiiittle behind the times, they definitely didn’t miss out on the local microbrewery trend. 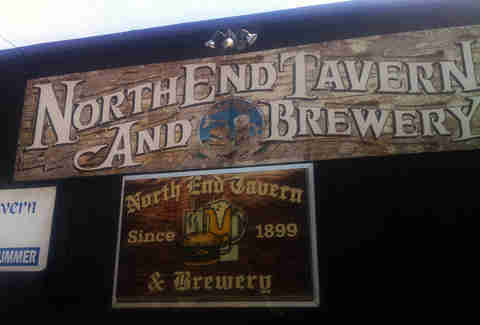 In fact, they were ahead of the curve; in 1997, North End Tavern -- which opened in 1899 as a friendly neighborhood bar -- expanded to include its own brewery. When you stop in, roll with the NET Burger and their 5-way IPA. Only in Wisconsin is there a historic restaurant and inn named after the logo on a beer can. Yep, the red circle in this hotel's name is the same red circle you’ll notice on that $2 can of PBR you just ironically bought. Owned by Fredrick Pabst in the late 1880s, the one-time Nashotah Hotel is now a landmark spot among a cluster of lakes west of Milwaukee. 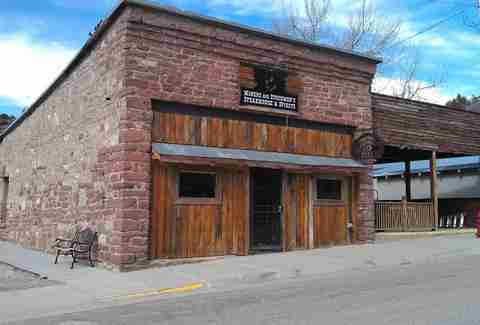 Honestly, you wouldn’t think a town in southeast Wyoming with only 63 people would boast a prime steakhouse in a historic building; but it does. And not only that, it’s the state’s oldest restaurant, serving a simple menu of four steaks, a salad of the day, and a handful of desserts. Clearly, with only 63 people to feed, they’re not going crazy with options. 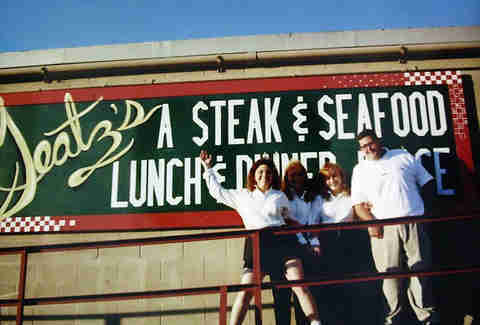 Correction: The original version of this article cited Atkins Park Deli (1922) in Atlanta as Georgia’s oldest restaurant and Roma Cafe (1890) in Detroit as Michigan’s. The story has been updated to reflect the changes.